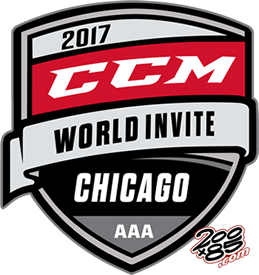 The 200 X 85 Opening Night and Fan Festival for the CCM World Hockey Invite is Thursday, November 2, 2017 from 3:00-10:00pm. Seven Bridges Ice Arena will be the epicenter for the CCM World Invite Fan Festival with something exciting for everyone. The free festival will feature a diverse mix of offerings designed for tournament players, parents, coaches and hockey fans. The family-friendly festival will occupy every inch of Seven Bridges including the “Hockey Shot” Big Top Tent located directly in front of the building. Activities include: 6 feature matches, world famous Chicago Blackhawks reception/check-in for coaches and managers, celebrity appearances including Bobby Hull and the Hanson Brothers, and the opportunity to view the Stanley Cup up close and personal. Mark your calendars now…you don’t want to miss this exciting event. See flyers below or Click HERE for complete details. See you there!